Tyler Stallings is a 7-year-old kidpreneur and philanthropist who resides in Maryland. The author of “Tyler Goes Around the World” became the CEO of Kid Time Enterprises, LLC, when he was just four years old. At that time, he informed his mother that he wanted to start his own business. Tyler’s journey to co-write a children’s book with guidance from his mother — Andrea Blackstone— evolved into an early lesson in entrepreneurship, and a vehicle to create community projects. Tyler is the son, grandson, and nephew of veterans. After his mother showed a YouTube video to Tyler about the plight of homeless veterans, he wanted to take immediate action and build homes for them. Blackstone explained that they could not finance construction projects, but Tyler wanted to explore other avenues which would allow him to support veterans in need. Give Back to Veterans Day was created because of Tyler’s desire to thank and uplift heroes who served our country. Start A Snowball provided $100 through a grant to support Tyler’s idea to make hygiene kits to distribute them to elderly and homeless veterans. At the age of four, he raised additional money to make gift baskets as Easter gifts. Hundreds of hygiene and grooming products were donated to the Armed Forces Retirement Home, located in the District of Columbia, and to a transitional home for homeless male veterans in Anne Arundel County called Patriot House. A second Give Back to Veterans Day event was held during the Christmas season in 2016. Tyler donated a portion of the proceeds of his children’s book to buy items for homeless veterans. He acquired additional project funding through a GoFundMe campaign. However, the bulk of financial donations were collected when Tyler dressed as a superhero from his book. Tyler’s cause led him to ask for permission to spread the word about his cause at a shopping center in Prince George’s County, and when traveling to the Fells Point area in Baltimore on weekends. Raising over $1,000 allowed Tyler to purchase and donate a new laptop computer for employment searches, winter clothing, hygiene products, backpacks, school supplies and 15 boxes of assorted items that were given to The Maryland Center for Veterans Education and Training (MCVET), located in Baltimore, Maryland. After he collected other donations, the drive led to collecting over $2,500 worth of goods. Tyler later won recognition from Daisy Button Believes, in conjunction with implementing his second giving holiday for veterans. As a result of the popularity of the project, the organization called Give Back to Veterans will be established to turn Tyler’s special holiday into a nonprofit to support veterans on an ongoing basis. Additionally, Tyler inspired a #1000bookgiveway hashtag on social media to promote literacy. Through the traveling book festival, Tyler gives away free books to children and teenagers in Prince George’s County, other parts of Maryland, and the District of Columbia. With the help of generous sponsors and grants, nearly books 7,000 have been given away during book parties, to encourage reading. Tyler’s first bookshelf was installed at Studio Styles in Annapolis, Maryland. Free bookshelves in five partnering salons and barbershops were added during Prince George’s County’s Festival of Literary Arts 2017, which was sponsored by the Prince George’s County Arts and Humanities Council. Gov. Larry Hogan and Michael Pantelides, the former mayor of Annapolis, Maryland, have recognized Tyler with citations for helping veterans and youth. Tyler has been featured on WBFF FOX 45 as a Pay It Forward Winner; FOX 5 DC; WJZ- 13; WBAL- TV 11; and CTV in Prince George’s County, Maryland. The homeschooled second grade student is a 2016 President Barack Obama Service Award recipient. Congressman André Carson later acknowledged Tyler by sending Congressional Recognition. Tyler became a GoFundMe Kid Hero in December of 2018, and a Orioles Birdland Community Hero in April of 2019, because of his work with the homeless in Baltimore and other parts of Maryland. Additionally, Tyler was featured on Steve Harvey's Little Big Shots in March of 2018. He received a Little Big Shots Humanitarian Award for Season 3 of the NBC television series, because of his ongoing support of American veterans in need. Tyler later appeared on Mr. Harvey's new daytime talk show, "STEVE." He discussed his #1000bookgiveaway, and his first book was featured in the segment. On World Homeless Day, Tyler partnered with Leesa mattress to provide 250 to a homeless shelter for veterans, in addition to $1,000 from Leesa, in Tyler's name. Thousands of Hero Bags have been distributed to Veterans through Tyler's project. 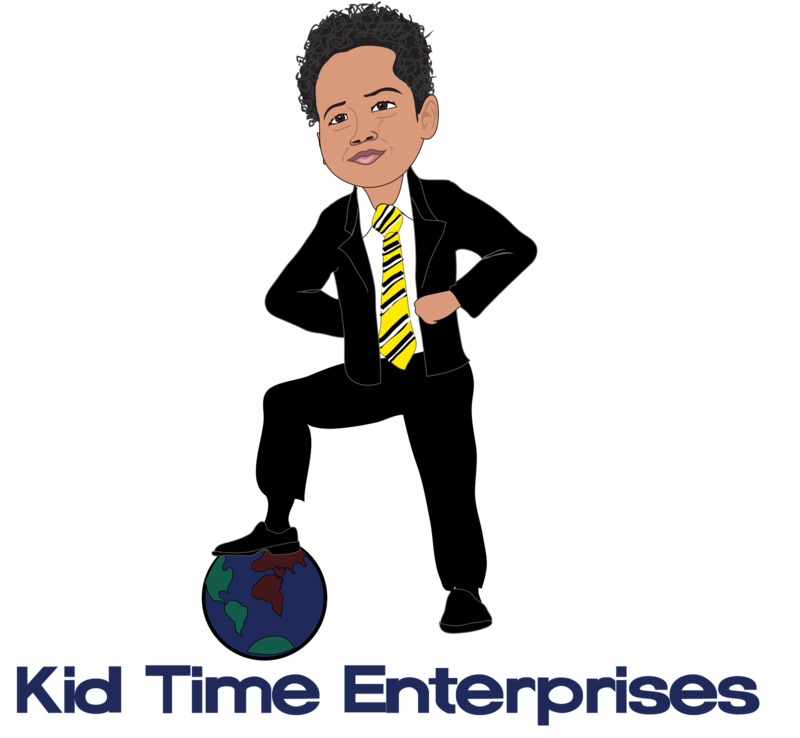 The kidpreneur and philanthropist looks forward to publishing his second book and expanding his community projects and company. How can I donate to your heroic cause?